Accuracy: Former U.S. Sen. Daniel Patrick Moynihan famously said, “Everyone is entitled to his own opinion, but not his own facts.” Facts are not arbitrary details that can be manipulated and distorted. Facts are the foundation for credible journalism, upon which trust is built. In this blog, facts are not treated capriciously, but with care and consideration and rigor. This blog will have a foundation built on factual data that can be verified with multiple references that will be sourced through hyperlinks or attributed. I will not cite data, quotes, or information that old-school journalists once called facts without providing the reader with a means of cross-checking the information. Point of View: It’s a blog, so, duh, it’s going to be loaded with both my opinions and my point of view. That is the point. However, my perspective will be building upon data and facts as noted in point No. 1 regarding accuracy. This blog is not intended to be fueled by negativity, but more by passion for issues that I care about that are informed by my understanding of people, of history, of psychology and organizational behavior, of science, of religions, of nature, and of other complex systems that impact this world and my understanding of the world. If anything, this blog is driven by a desire to call attention to facts and information that deserve greater focus or a more nuanced understanding. Credibility: This blog is open source. I stand behind everything I write and welcome feedback to challenge both my views and my understanding of information I am presenting. Media Use and Reproduction: When possible, I will try to use mostly my original digital media and photographs, but will on occasion use other media sourced from the Web. In such cases, all uses are intended for the purposes of fair use as allowed under U.S. copyright law. This blog, as of now, is not supported by any commercial party or supported by any third party. It is, as of now, entirely researched, written, edited, and published (thanks to WordPress.com) by the blog owner and publisher, me (Rudy Owens). Editorial Independence and Disclaimer: All views expressed on this blog reflect only the views of the blog publisher and owner, me (Rudy Owens), and not the views of any organization with which I am or have been associated. There is a very clear and consistent firewall, and this has been maintained throughout my more than a dozen years as a publisher of my own web site as well (www.rudyfoto.com, now migrated to www.rudyowens.com). Other views that are provided will be either direct quotes from other parties or summaries of opinions and topics provided by the author (me). The blog is premised almost entirely on the free-sharing of information that is publicly available and open source, and readers will largely be allowed to draw their own conclusions based on the data presented. Pleasure: This blog was first inspired by my experiences entering the field of public health and my often nagging and unrelenting feelings that I was being confined by established principles of scientific writing and publishing, as well as the field’s orthodoxy. The formal method of writing, often for journals behind a paid firewall that is completely inaccessible to the public, is how most research in public health is first shared and vetted with the scientific community. It is almost never written for the public that the research is supposed to help. I also realized that I was having insights into this and other fields, and I started tapping into my knowledge of supposedly separate but very much connected domains. 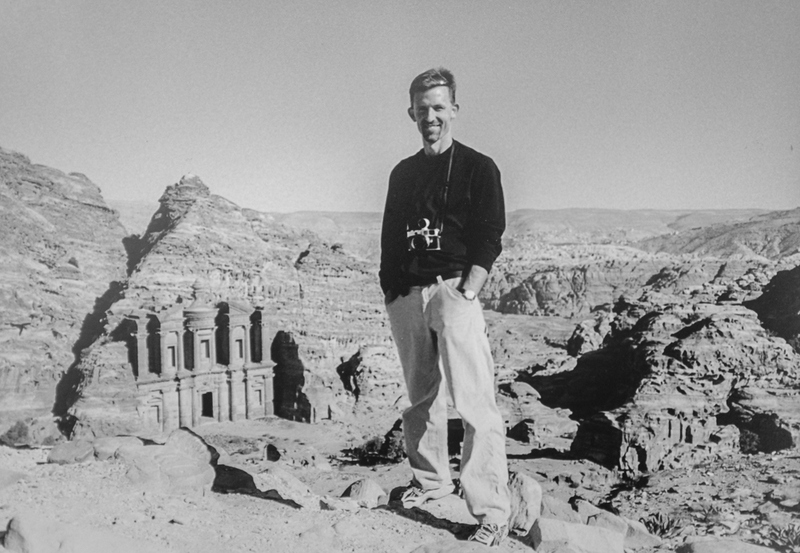 The more I wrote, the more I wanted to integrate my past experiences as a journalist, traveler, cultural observer, energy industry observer, foreign affairs officer, photographer, public health practitioner, and peripatetic journeyman to many places inside and outside of the United States. (This integration of different domains of thinking, as I was discovering, is a long tradition, and one explored brilliantly by author Robert Greene in his 2012 book, Mastery.) This blog still remains a labor of love, and I enjoy the chance to share my observations and photos with a larger community. But make no mistake this blog will remain built on that solid foundation cited in point No. 1. Following Rudy Owens’ Blog: You can keep up to date with postings by signing up to follow this blog. On the main page, under the “Follow Blog via Email,” type in your email address to receive copies of new postings by email. WordPress “Push Ads” (effective October 2013): Until I provide additional revenue to the host for this site, WordPress, ads will start appearing on my site that I neither endorse or control. I will see how this new development unfolds. I do not object to paying WordPress more money to monetize their business, but for now I will refrain and see how their new feature integrates with this blog. Copyright: This web site is protected by copyright, but at the same time is firmly committed to the sharing of publicly available information and publicly funded research. Please refer to my copyright page for more details.